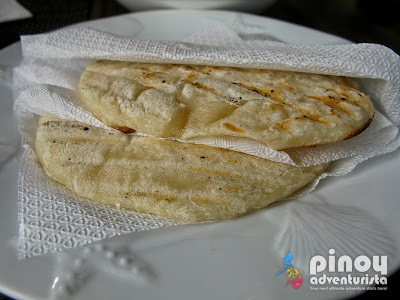 The gastronomic adventure in the "City of Pines" continues. This time, we're dining at Hill Station, one of Baguio City's most regarded restaurant. It is located at the ground floor of Casa Vallejo, a century-old building restored a few years back as a bed and breakfast hotel. It's easy to find the hotel as it is located very close to SM Baguio. Upon arrival at the hotel, we made our way towards the basement where a bar area greeted us. We walked further towards the main dining area which gives me a fine dining vibe. I love the big wide windows, polished floorboards, heavy wooden upholstered chairs and chandelier pieces nicely hanging at the ceiling. 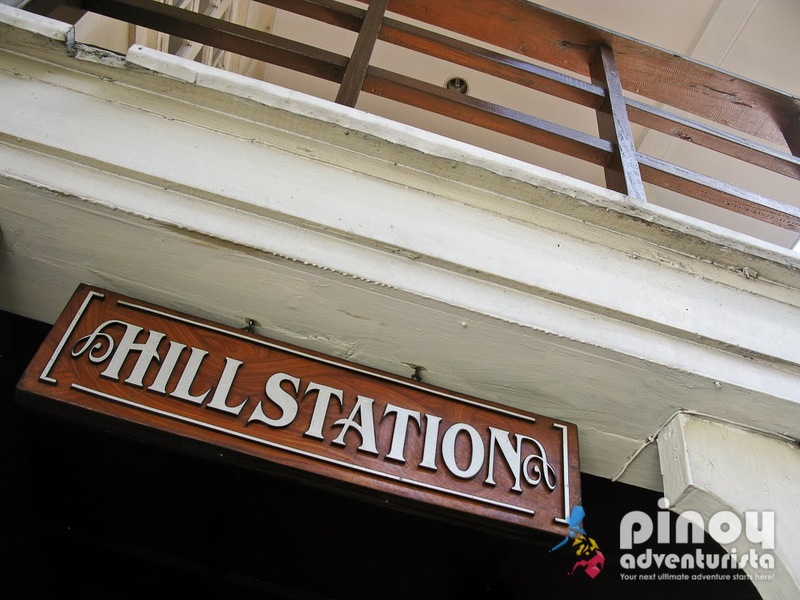 Hill Station is hailed as one of the best restaurants in Baguio City offering a wide array of savory international cuisines inspired by the owner's travels around Europe, America and Asia. Upon settling ourselves in our nice and comfy seats. 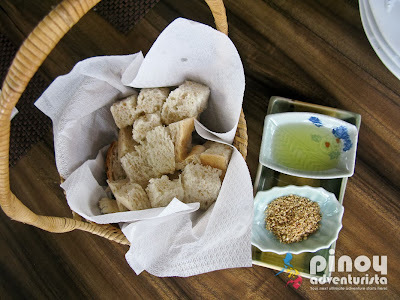 We were served with a basket of their complimentary bread and dip. There were two saucers of dips, one is filled with olive oil and the other one is with dukkah, an Egyptian side dish made from herbs, nuts and spices. Then we were served with Caesar Salad with Shredded Duck Confit (PHP 260.00) - I like so much as it is creamy and made from Baguio's fresh veggies. And the shredded duck confit is so flavorful. 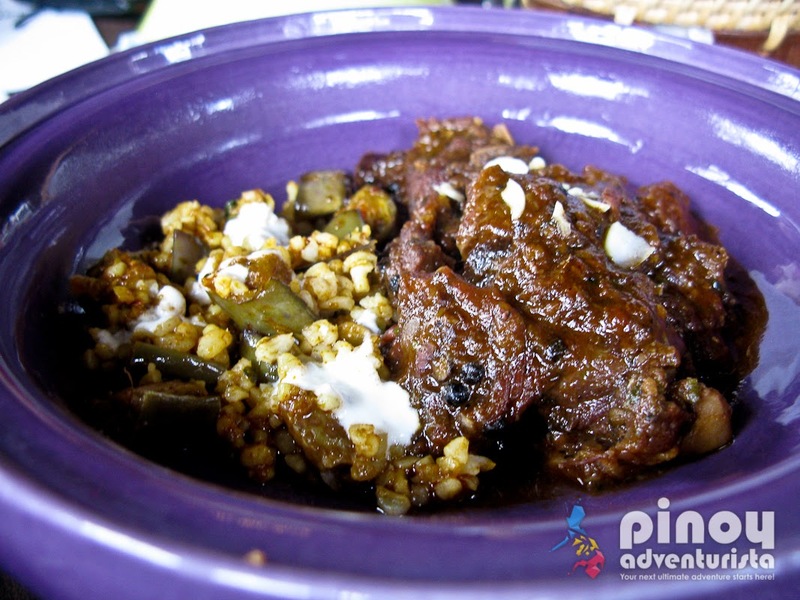 Moroccan Spiced Baby Back Ribs (PPH 395.00) - This is also one of my favorites as the ribs is very tender, literally falls off the bone. 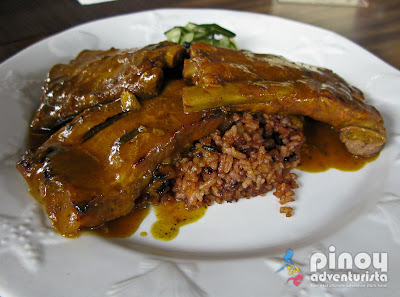 Served with organic rice, the ribs is poured with a special sauce, it's tender yet it has a crunchy texture on the outside. This is definitely a must-try! Lamb Tagine with Honeyed Prunes, Mediterranean Vegetables and Couscous (PHP 460.00) - Made from lamb meat tangines (slowly simmered Moroccan stews) cooked with honeyed prunes. It's a bit sticky and has a complex sweet sauce paired with steamed couscous or pita bread. 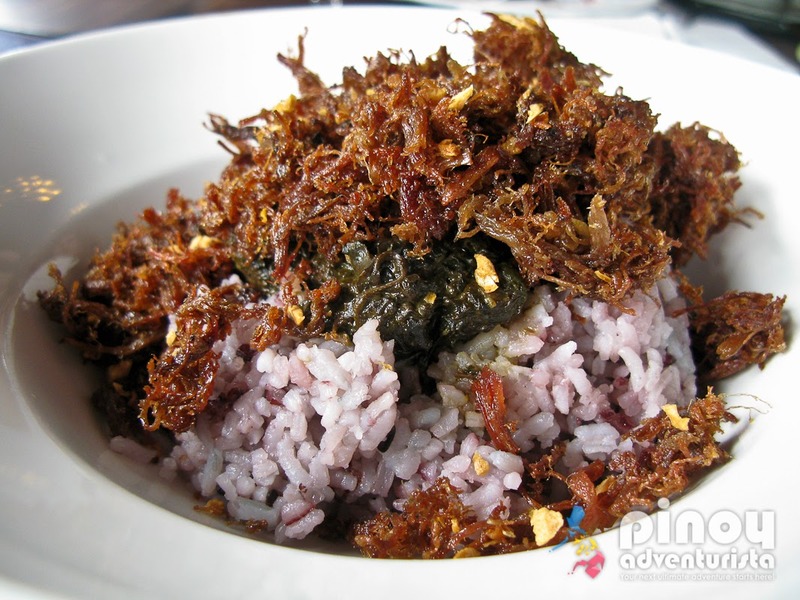 A very flavorful dish! 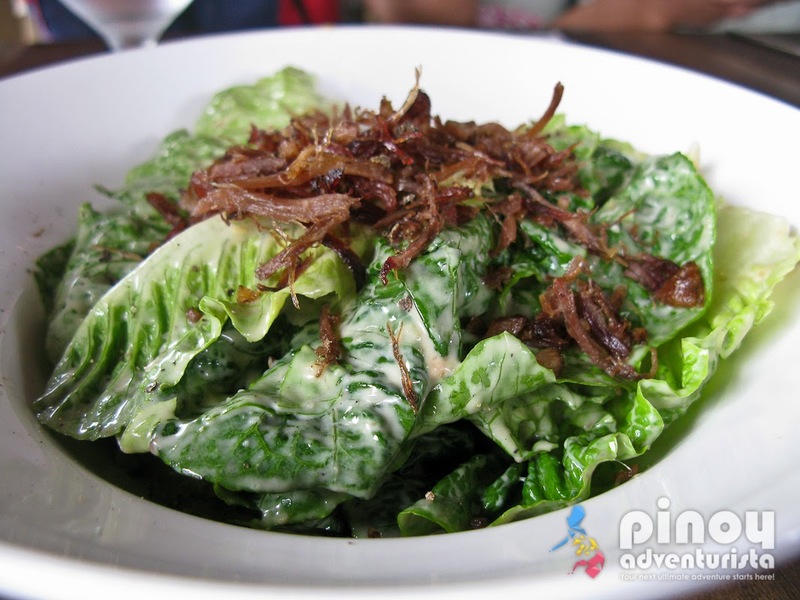 Crispy Duck Flakes (PHP 360.00) Organic rice topped with laing and crispy duck flakes. This is perfect for those who love their food with lots of texture. 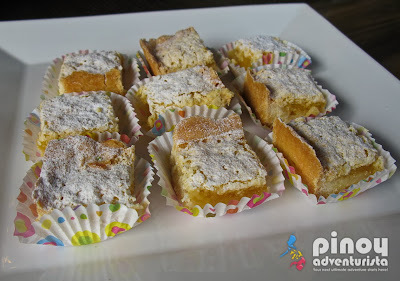 Lemon Squares - it has that right lemon-ish zest and sprinkled confectioners sugar, which I like. 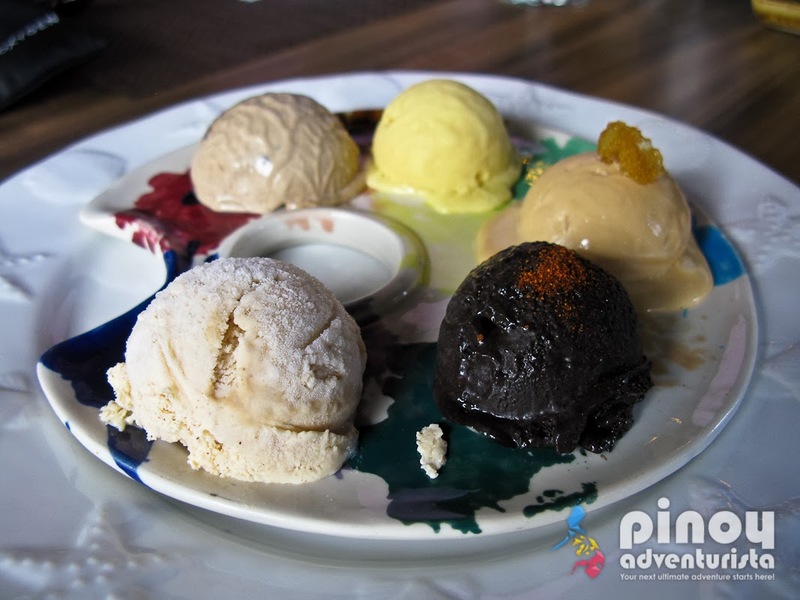 Ice Cream Palette (PHP 180.00) - A signature dessert of Hill Station, it is composed of 5 flavorful home-made ice cream. Served in a unique artist palette, it has Benguet Coffee with Choco Chips, Dark Chocolate with cayenne, Vanilla Cinnamon, Mango Rum and Salted Caramel. What a great way to cap our Hill Station experience! Overall, our lunch at the Hill Station is something I could personally say that is truly memorable. These dishes are all new to me and left a lasting memory on my taste buds. They might be a bit pricey, but I must say, you'll certainly get what your money is worth. 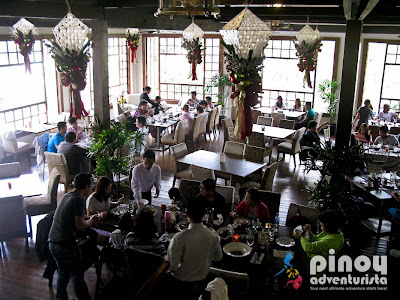 I'll definitely dine here again when I visit Baguio City in the future. Highly Recommended! From Manila, take a Victory Liner bus bound for Baguio City. Victory Liner has hourly trips to Baguio City. Terminals can be found in Pasay, Cubao or Sampaloc. Fare is around 450 pesos and travel time is 6 hours. Visit their website (www.victoryliner.com) or follow them on Twitter @VictoryLineInc for inquiries and updates. Thank you Victory Liner for sponsoring our trip to Baguio City. 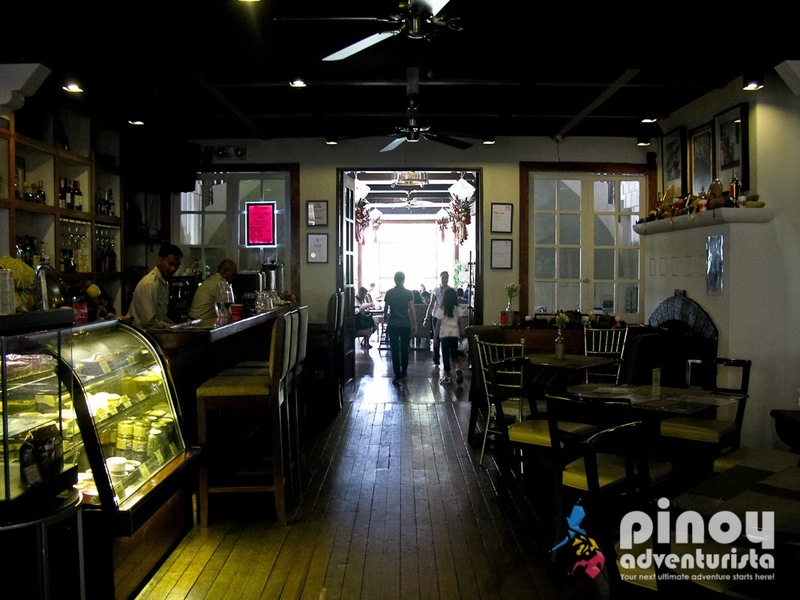 WHERE TO STAY IN BAGUIO CITY? 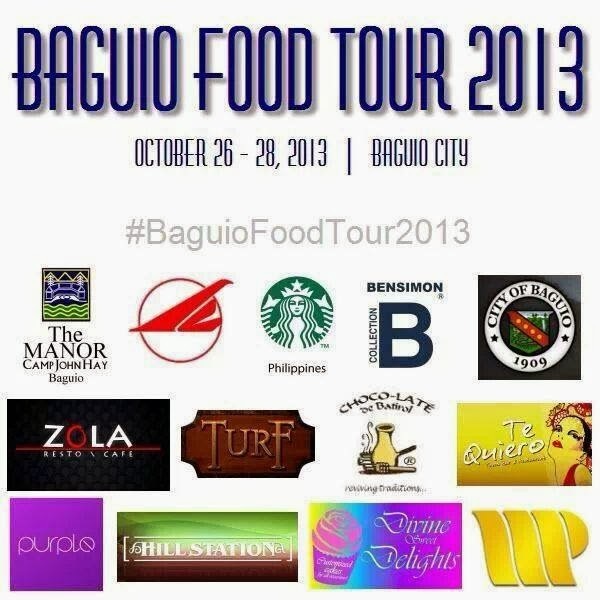 WHERE TO EAT IN BAGUIO CITY? 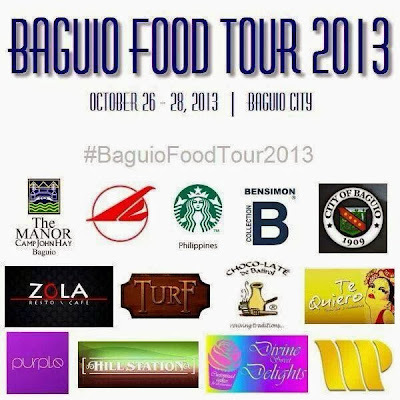 Disclosure: Hill Station at Casa Vallejo is one of the partner-restaurants of #BaguioFoodTour2013. Thank you for hosting us in Baguio City.